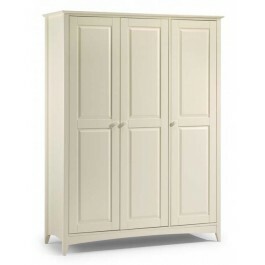 A shaker style triple wardrobe with 3 doors, the right hand door hides 3 adjustable shelves. 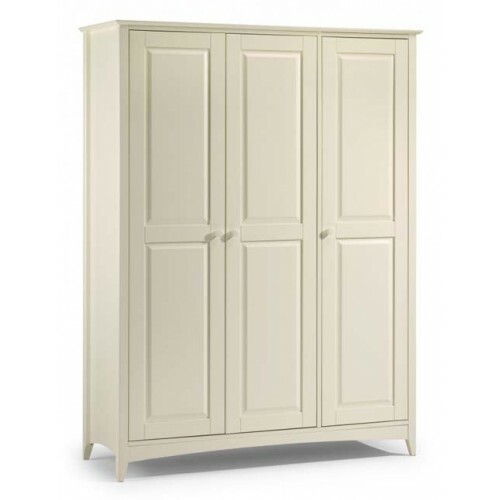 The wardrobe also incorporates a double width shelf above the hanging space. Finished a Stone White lacquer.